Faculty and GSIs from across campus are invited to explore our newest resource dedicated to active learning. At CRLT, we work every day with instructors who are committed to engaging their students actively both inside and outside the classroom. As Michael Prince explains, “Active learning is generally defined as any instructional method that engages students in the learning process. In short, active learning requires students to do meaningful learning activities and think about what they are doing.” (Prince, 2004). Research from Prince as well as a number of other sources (Freeman, 2014; Hake, 1998; Ruiz-Primo et al., 2011) indicates that having students actively engaged increases learning outcomes across disciplines (Ambrose, 2010; Bonwell & Eison, 1991). This new resource showcases the diversity of active learning techniques used by instructors at U-M, from the humanities and arts to STEM, from small seminars to large lectures, to demonstrate not just what active learning is, but how it works in classrooms right here on campus. Reflecting on Your Practice: We designed this inventory to help you identify areas in which active learning could be used in your classroom and to suggest opportunities to build on strategies that you already use. Implementing Active Learning: Integrating active learning can be beneficial to student learning, but it does come with some challenges. We share tips and techniques for integrating active learning strategies while avoiding common pitfalls. 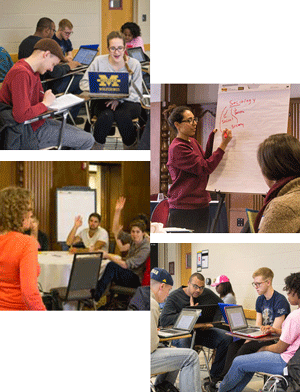 U-M Faculty Examples: In these brief case studies, U-M instructors share how they use active learning in specific courses, as well as how they have refined their approach over time. From large Physics lectures to small Screenwriting seminars, these examples span the range of complexity and diversity of approaches to engaging students. Resources: This section includes discipline specific resources and the research that speaks to the efficacy of active learning. Share your Example: Are you using active learning in your classroom? We would love for you to share your examples, as we hope to grow this resource to include even more voices in the conversation. 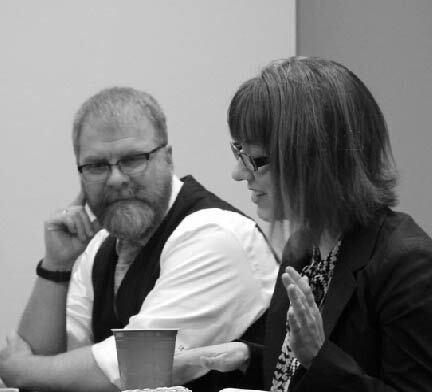 In recent years, several colleges and universities have begun to include students more actively in faculty professional development opportunities, often engaging students to consult with faculty about both course planning and implementation. In a recent book on Engaging Students as Partners in Learning and Teaching, Alison Cook-Sather, Catherine Bovill, and Peter Felten delineate a range of positive outcomes of such student-faculty partnerships to improve teaching and learning. As these authors argue, “Students have insights into teaching and learning that can make [instructors’] practice more engaging, effective, and rigorous” (2014). We’d add that student insights can likewise contribute to teaching practices that are more inclusive and equitable. Drawing upon their experience learning from a range of instructors and alongside a range of peers, student consultants can offer perspectives on several key inclusive teaching principles, including: how effectively course materials convey an instructor’s values related to equity and inclusion; how transparent the materials are about student learning objectives and evaluation criteria; and how they support a sense of social belonging for a broad range of students, especially those that too-often are not represented in or acknowledged by curricula and course materials in a wide range of disciplines.